For an individual who has not responded to antidepressant medications, or cannot tolerate their side effects, TMS may be a safe and effective alternative. 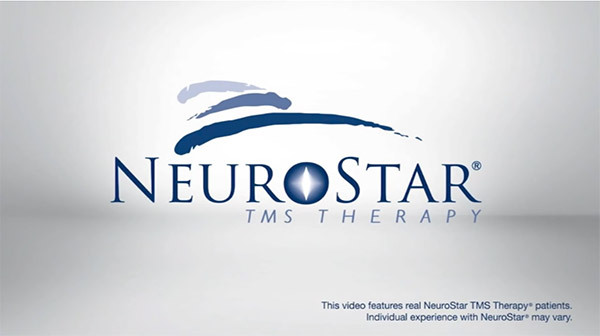 TMS therapy is available by prescription only and is delivered under the supervision of a psychiatrist. A typical course of treatment involves 30 treatments given Monday through Friday over a span of four to six weeks. The noninvasive, outpatient treatment lasts approximately 18 minutes and is performed while the patient rests comfortably in a reclining chair in the doctor’s office. The magnet makes a sound while generating the magnetic pulses, and patients may feel a light tapping sensation on their head. The most common side effects are scalp discomfort and a mild headache, but side effects usually resolve in the first week. There is a very small risk of a seizure, but only about 1 out of every 1000 patients. The patient reclines comfortably in the treatment chair, awake and alert. A small curved device containing the magnetic coil rests lightly on the patient’s head. 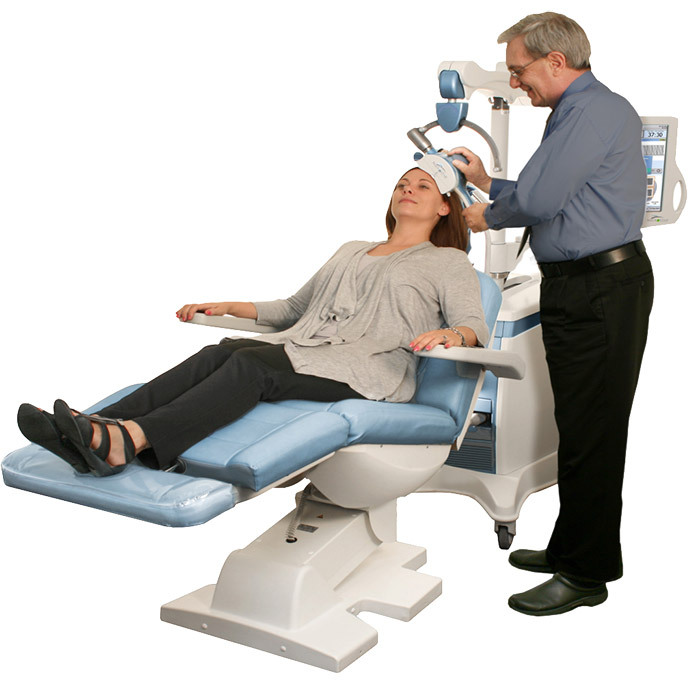 The device delivers focused magnetic stimulation directly to the target areas of the brain. The patient can immediately resume normal activities.